A few months ago when I saw pictures of this palette I knew it had to be mine! Too bad I had to wait 6 weeks for it to arrived, since when it came out it was instantly sold out. I have had this palette for a couple weeks now and I Love It! It has a gorgeous selection of shades ( 6 mattes and the rest are all shimmers), I don´t get want the pink shade is doing there, I would much prefer a medium bronzey/brown that I think is missing for all over the lid something along the line like romp or even soba by mac, that´s my only complain. I love all the matte brown shades and their different undertones, they are so good, as for the shimmers they are also amazing. So far I have been sticking to the browns, bronze and gold, but I need to try the amazing purpley/violet shades. The pigmentation is great, there is a little bit of fallout, but nothing too bad. Milk chocolate (or salted caramel) all over the lid, HazelNut patted on top,Cherry Cordial on the outer v and crème brulee as a inner corner highlight. 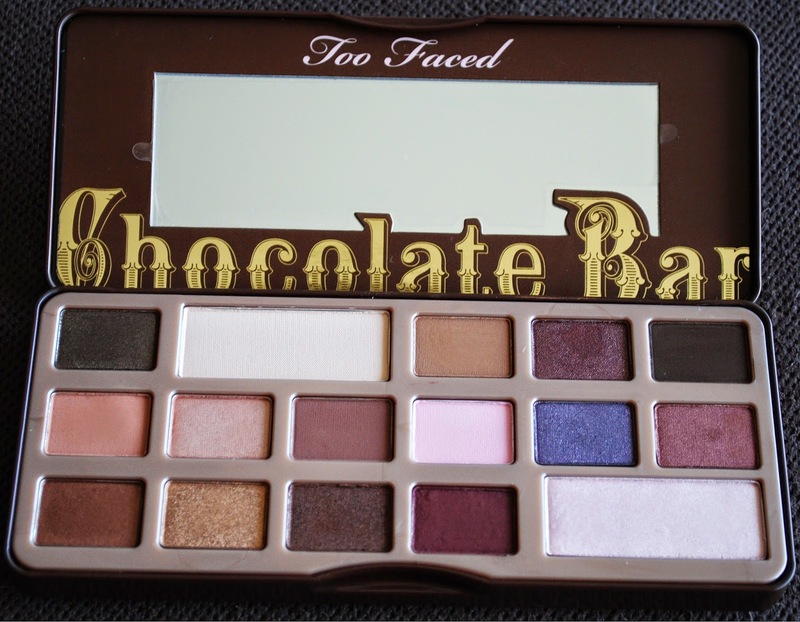 I have been using this palette non stop, definitely worth the wait. So is this my perfect palette? I have I found my neutral palette sole mate? I don´t know but is pretty close to it! PS: I can´t believe I almost forgot to say they smell like chocolate. YUM!